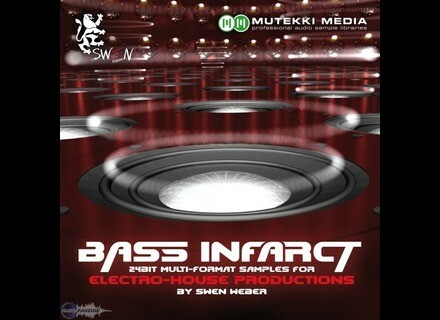 Bass Infarct, Techno / House / Trance Sample from Mutekki Media. 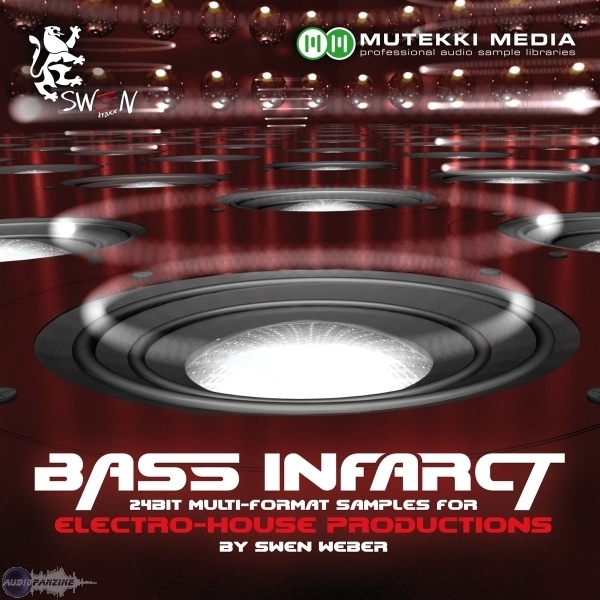 Mutekki Media has announced the release of Bass Infarct, a new sample DVD by Swen Weber. This library offers producers what they need for the production of Electro, Techno and Progressive. The heart of this multi-format DVD is the Loop section (incl. Drum, Bass, Combi & Electro Loops, all in 128bpm) that is available in WAV format and so is suitable for everyone as well as in Apple Loops, Ableton and Rex format, which makes it highly fashionable also for DJs, Live acts and loop-based working producers. Furthermore this library offers a variety of FX, Instruments, Synth & Bass Shots as well as a collection of Drums (Kicks, HiHats, Claps, Snares, Crashes), so that a complete track can be built only with the samples included in this DVD. Priced at €85 (incl. VAT), Bass Infarct will be released this month (May 2009). It is available as a 2.1 GB multi-format DVD and digital download at Mutekki-media.de containing the following formats: 24-Bit WAV, Apple Loops, Ableton Loops and Rex files plus EXS-24 and Kontakt 2/3 patches. Modartt Pianoteq V-M & V-B Using a newly extended model, Pianoteq can now reproduce the sound of the vibraphone, according to Modartt. Real Sound Lab CONEQ P2 EQ Real Sound Lab has announced the release of the CONEQ P2 EQ VST plug-in for Windows. Groove3.com Mastering with T-RackS Groove3.com announced the availability of the Mastering with T-RackS video tutorial collection.